Seeing that my last post was on December 26th, I think you all can guess this has been a hectic month for me. Besides December and January being my busiest months at my full time job, the weight of the new year, my impending graduation from my EdM program this May and the life changing decisions that is forcing me to make….its really cold out! What does all of this equal? Well, not much more than an excuse as to why I haven’t really been cooking or blogging. In my defence (yes, another excuse) I HAVE gotten some posts up for my blog on The Watertown Patch! I digress….In the last 2 months, Foodler has come to my rescue. Now, hear me out. I have been endlessly skeptical of food delivery services. I just don’t get it. Why would you pay extra money, and wait extra time, when you can just as easily call a restaurant that delivers. Well, when Foodler reached out to me to try them with a credit, I had my opportunity to see why! But the truth is, Foodler didn’t cost more. The delivery charges depended on the restaurant and the distance from you. So my local delivery joints charged the same fee as if I ordered through them directly. Plus there is the added bonus of being able to have delivery from restaurants who do not order the service themselves, or for whom you are outside of the delivery area. The useability of the site is great. It keeps track of the restaurants you have ordered from, shows ratings from past customers, and makes suggestions based on your delivery history. All pretty useful! So what about their delivery? Well, I ordered using Foodler a few times before writing this review in order to make sure service wasn’t dependent on the location. Every time, my order came EXACTLY in the estimated delivery time. My order was also correct each time. My first order was from S & I To Go. Meh. The main dish was a little low on actual dish. The dumplings didn’t travel well. But the Fried Bananas….now those were amazing! I think the issue may have been because this restaurant WAS a good distance away. 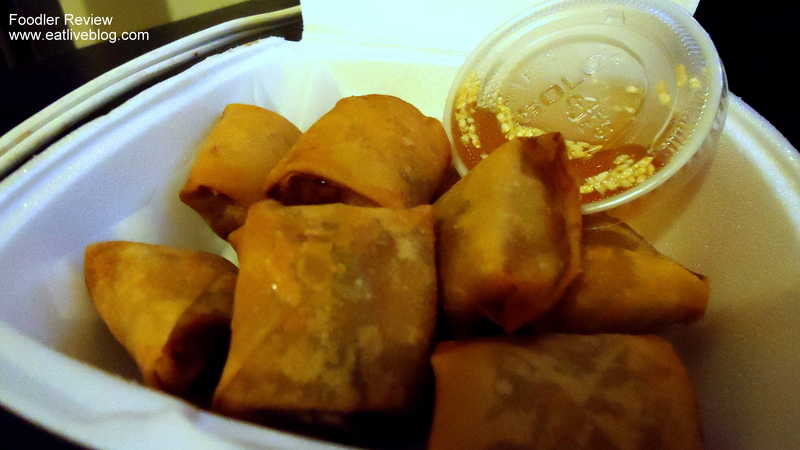 But the portion on the Spicy Prik Khing was really disappointing. 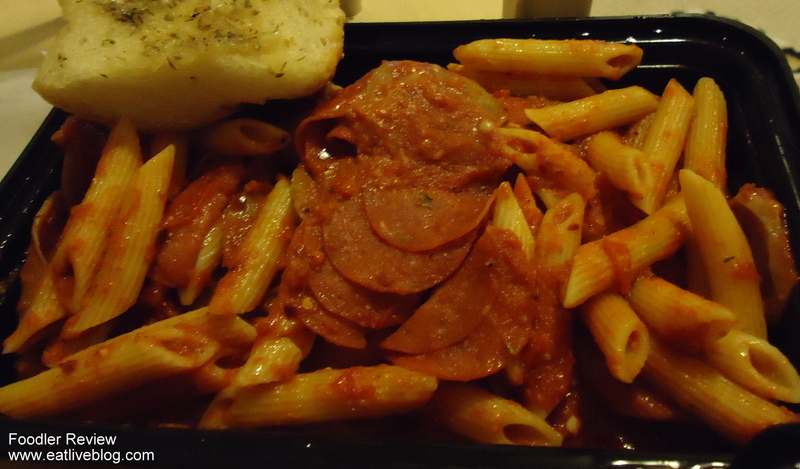 My next order was from Fiorella’s Express, which I have experience ordering from directly, so I knew what to expect. Once again, delivery was right on time. This time, with Fiorella’s being in my neighborhood, the food was hot and perfectly prepared. The Spincotta & Prosciutto Pizza was heavenly. The Pepperoni Fra Diavlo, while tasty, was way too heavy on the pepperoni. I did notice that the portion on the pasta was smaller than I remembered. So, I do have to wonder if they downsize the portions when you order from Foodler. Last week I ordered from another local go-to, Thyago’s. This time everything came exactly as it would have if I ordered from the restaurant. So, my final assessment. A! Job well done Foodler! With the addition of being able to earn credit back to your account, my question is now: Why WOULDN’T I order from this food delivery service! Disclaimer: Foodler.com offered me a $15 credit in order to try out their service in exchange for an honest and truthful review. All additional moneys spent were out of my pocket. As always, all of the opinions expressed in this review are my own. Bloggers: If you are interested in receiving a credit in order to try out Foodler and blog about your experience, please email me. This entry was posted in Reviews, Travel in New England and tagged belmont, boston, delivery, fiorella's, foodler, restaurant, review, s and i to go, take out, thyago's by reneeh. Bookmark the permalink. I’m going to have to rely on Foodler or a personal chef in the upcoming months too. Good luck with everything on your plate – I feel your pain! I have been using foodler for about 4 years and I LOVE it!